Moving in together is a huge leap from having your own separate abode. There is much excitement that surrounds this part of your life, and while it may feel a bit uncomfortable to discuss money before moving in together, it’s definitely an essential and necessary talk that must be had. You may think that that you fully know someone until you begin sharing the same living quarters, the TV, restrooms and who will take up space in the garage. Oftentimes relationships are consumed with topics that make us feel warm, and fuzzy. We discuss our future short term plans with our mates, such as where will we eat dinner tonight, our next fun-filled vacation, and meeting the family remains on the to-do list. However, one very important dialogue always seems to wait patiently on the back burner—and that’s the topic of money. Effective communication is the doorway to any successful couple who has ventured forward in living together. Recognizing that avoidance of discussing ones financial standing rather good or bad does not make it go away. If you are seriously considering taking the leap of cohabitation, your individual fiscal state should be and remain an open book. …Until we are married, or maybe your personal belongings are shareable assets. There are specifics around finances and legalities when it comes to marriage and finance; however, those same rules may not apply if you are unmarried. Discuss what will be shared and even create a list of the big ticket items that each person brought with them. This can even be accomplished with a simple cohabitation agreement. While this may not seem romantic, it’s all for protection purposes and it’s a wise move. Vow to keep your individual bank accounts separate-unless you have already decided to merge finances. A great rule of thumb is to apply the mine and our approach. Avoid those feelings of selfishness and replace them with making mature life decisions. Account separation does not diminish the love or care that you have for your mate. However, it does provide protection against those unexpected financial woes that could surface, or potentially disastrous pitfalls that you could grow to regret in the future. Treat moving in with anyone the same as you would with a roommate, until agreements have been reached. A 50/50 split of household expenses in some situations may not always be realistic. Outline the monthly income of each individual and determine who will cover specific expenses that could range from the mortgage, utilities, insurance, garbage bill and so forth. Talk all plans through prior to making the move, and ensure that each party is comfortable with the final agreement. Tossing a coin in this case may not be the best solution of deciding who will be responsible for paying the bills. Identify who has developed a history of paying creditors on time. Ask yourself if this individual is also organized and detail oriented. As partners, create a strategy that promotes teamwork, and combined decision making skills that will be beneficial to the overall success of a blissful financial relationship. A common-law marriage is defined as a marriage relationship created by agreement and cohabitation rather than by ceremony. The burden of proving that you have a common-law marriage status lies with you. Familiarize yourself with the laws within your state. This CLM (common law marriage) statute provides couples with the benefits of filing joint tax returns, and in some cases sharing the same last name. Research this matter if you are moving in together and are unmarried. Start with these five tips, but don’t forget the importance of keeping the conversation light. Discussing finances can be a tough and uncomfortable topic. Remember, that your primary goal in having the money talk prior to moving in together is to simply outline responsibilities to avoid any confusion. Cheer one another along as you find common ground. Marsha Barnes is a personal finance expert. 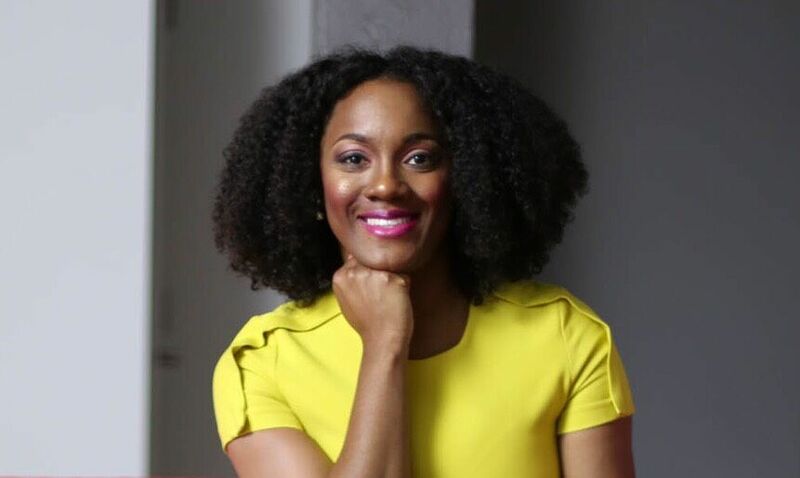 Her innovative ability to offer personal finance teachings has appeared in Black Enterprise, Essence, Forbes.com, Sirius XM, Business Insider and more.